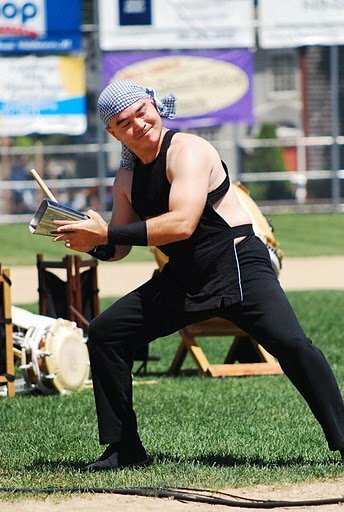 Way of the Dragon: Oct 24, 7:30 p.m.
Have you bought your tickets for the Way of the Dragon concert yet? 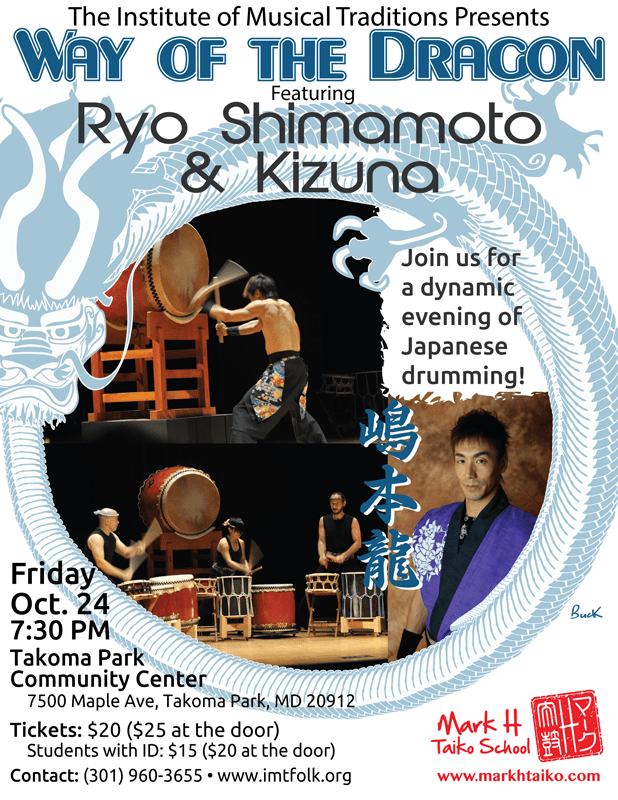 Don’t miss this awesome opportunity to see award-winning taiko artist Ryo Shimamoto performing with Kizuna, DC’s own contemporary taiko trio! Read more about the concert or buy your tickets here. Read more about Ryo’s workshop tour this month.